As with all things relating to current home decor fashions there is a noticeable trend towards earthy shades and tones which have now transferred across to blinds and window coverings in recent times. These colour schemes offer a wonderful subtlety, with dusty to dark shades of brown and taupe, olive greens and earthen greys being a great choice for both translucent and blockout fabrics a-like that serve to filter and control the light in every room of your home. While not all homeowners are inclined towards such soft, subtle colours, instead preferring something a little bolder, these colour schemes work in such a wide array of residential and commercial environments and are proving to be extremely popular, especially with new builds. One of the most enduring qualities blinds offer is that they can make such a remarkable visual effect on the interior space, with different varieties also offering different qualities that maximise the effect they have on the light in that space. 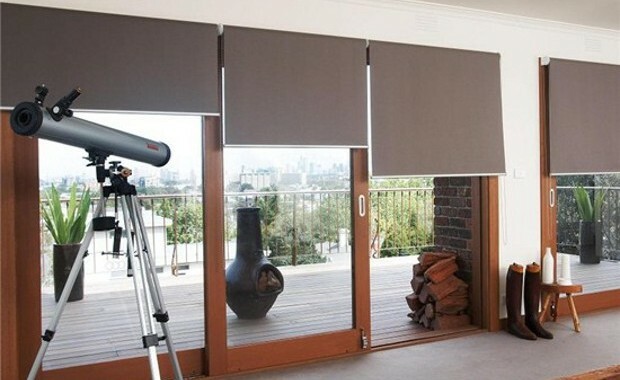 For example sunscreen roller blinds are excellent for blocking UV rays and glare while still maintaining your view. Blockout roller blinds are the ideal choice for reducing sunlight and vertical blinds offer excellent light control. In addition to colour schemes and trends it’s crucial to take into account such considerations when selecting blinds for your home to achieve your desired effect. Grey is quickly becoming the go-to colour for blinds and it’s being accentuated in different ways. When used in combination with bright accents such as yellow, or with more subtler natural tones, like chalky pink or taupe tones (beige-brown), blinds with such schemes work well in all environments from exposed brick and bare plaster to lime-washed wood and traditionally painted walls. You’ve got a great deal of flexibility when choosing the right blinds to suit your home with Buy Blinds Online. The colours in the Australian made Affinity range, (we offer many of these colours for our roller, panel and vertical blinds), are an excellent reference point for some of the subtler greys, whites, beiges, browns and taupes that are especially popular at the moment. Also, look at Dulux’s 2018 Colour Trends, as these colours eventually transfer to blind fabrics once they’re used as paints. Some of the colours are just gorgeous, with a wonderful array of greys (Partita and Purebred), off-pinks (Lilac Suede and Piglet), browns (Clay Play, Hot Ginger and Tuk Tuk), whites (Snow Season Quarter), and greens (Green Olive and Matamata) great choices for blinds and window coverings, especially roller blinds with translucent fabrics that softly filter the sunlight. Buy Blinds Online could revitalise both your home’s interior and the time you spend there. Contact Buy Blinds Online today for your free measure and quote and beat both the heat and the pre-Christmas rush!